Almost all products being sold in the market today have already been sold before by their competitors but what makes other products a hit despite their being new in the market? Most entrepreneurs say it is a matter of marketing your products to your target market. Marketing can be done in various ways depending on the expertise of the marketer. However, one common way to market a new product is through participation in trade shows. Trade shows are held at any time of the year and they do attract buyers and prospective customers. There are general trade shows but you can choose from niche trade shows depending on your area of business. Companies join trade shows not so much for actual selling but most importantly for showing off their products and for the possibility of getting bulk orders during the trade show. A company or a sole proprietor planning to join a trade show should take note of the following: 1. Able personnel to man the trade show booth. A trade show is not just an ordinary selling venue but it is a venue where prospective clients abound so make sure that you send your best personnel to man the booth. Some companies take trade shows for granted and allow inept personnel to watch the booth. The people who are put in charge of your trade show booth can make or break your product. A good staff with public relations skill can attract more clients to your products. It is also important to instruct your booth personnel to dress properly depending on the venue of the trade show. Business attire will always be safe. 2. Invite visitors to your booth. The booth personnel must be trained and instructed to invite visitors to the booth. Most visitors walk away from trade show booth when they see the staff busy with their own thing. Tell your staff the main reason why they were assigned to the trade show and that is to get as many visitors to see your products. Booth personnel should be able to answer questions from the visitors because the visitors may already be potential customers. A booth demo will catch the attention of visitors especially if the demo is useful to them. 3. Prepare your brochures, leaflets and business cards and make sure you do not run out of them. Always expect plenty of people to visit trade shows so never be caught without your marketing tools. Imagine if a potential client asks for your brochure or your card and then you cannot give him anything just because you did not prepare for an influx of people. It is better to have plenty of left over marketing materials after the show rather than miss the opportunity of showing off what you have to offer. 4. Keep a visitors’ book. Most companies who join trade shows require visitors who get their free marketing materials to sign up in a guestbook. However, only a few of these companies will communicate with the people who signed in their guestbook. Be creative and use the guestbook as a sourcebook for potential clients. The people who visited your booth and who got your materials are definitely interested in your products or else they will not even glance at your booth. Why not take advantage of their contact information? Mail them a thank you letter along with more information about the product and where they can buy the products. 5. 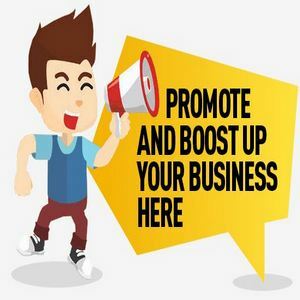 Promote your products but do not be too pushy. Visitors are often turned off by very eager booth personnel who call out to the visitors using their loudest voice. No one would want to visit your booth if your personnel are boisterous. Allow the visitors to go inside your booth and look at the items you have on display but always keep a welcoming smile. Entertain their questions and try to respond to them accordingly. Never shout your words of welcome to the visitors since they might feel defensive all of a sudden and decide against looking at your products.